Which monarchies will succeed at reform? Which will be swept away by the new revolution of rising expectations? The fake republics are goners; the monarchies have a fighting chance. That’s my conclusion after a short visit to the Middle East and discussions with officials and analysts there. The ingredients that brought Ben Ali down in Tunisia were closely replicated in Egypt and Libya: repression, vast corruption, and family rule. They are all present in Syria as well, suggesting that the Assad regime may stay in power for a while by shooting protesting citizens, but that its ultimate demise is certain. The question for the kings, emirs, and sheiks is whether they will do two things: end the corruption that surrounds all these royal courts, and begin a genuine move toward constitutional monarchy, where power is shared between the throne and the people. In Kuwait there is already a real, elected parliament with genuine power, but the prime minister is always a member of the ruling al-Sabah family. That must end. In Jordan, where the prime minister is always a commoner, the king has announced some new reforms that would tend to move the country toward a more democratic system: Notably, the prime minister would emerge from the victorious political party, not from back-room conversations in the royal palace. Electoral reforms are also promised, to end the gerrymandering that minimizes representation for Palestinian-origin Jordanians and creates a permanent majority for the East Bank tribes. But those tribes have long been the Hashemites’ power base, and they man the army and the police, so such a reform is fraught with danger for the king. Past announcements of reform have never panned out, and high officials say the identity issue — are the Palestinians “real” Jordanians, loyal to the Hashemite Kingdom, or would they choose allegiance to a Palestinian state? — cannot be solved until a Palestinian state actually exists and offers them citizenship. So the pace of change to come in Jordan remains unclear, even if advisers to the king are insistent that his reading of the regional revolts has persuaded him he must move soon. The king of Morocco has announced an even deeper reform, one that would move the country to a true constitutional monarchy. He has called for separation of powers, independent courts, prime ministers who actually govern, and a reduction in the now central role of the palace. Morocco was already far from an absolute monarchy, but if this plan is implemented, it will provide a model for the Arab world — which is why there are stories in Arab circles that the Saudis have privately expressed extreme displeasure to the Moroccan king over the terrible precedent he is setting. While Qatar and the United Arab Emirates can buy off their tiny citizenries, since their populations are made up mostly of guest workers who do not expect political rights, Saudi Arabia has a population of 25 million, many of whom are unemployed and unemployable young men, trained in the miserable Saudi school system only to recite the Koran and unfit for any work in a modern economy. The endless billions in oil wealth have produced inequality and excess; they have not produced development. This month, the king, aware of the dangers in this Arab Spring, announced a staggering $93 billion in subsidies — bribes, really — to head off trouble. Nothing he announced, however — better government salaries and pensions, for example, and the construction of 500,000 houses — will make the kingdom more productive or give ordinary Saudis real political rights. Local elections have been announced, but women will still not be permitted to vote, and elected officials will “share” power with royal appointees. The king also announced an expansion of his security forces by 60,000 and a larger budget for the religious police. This is not a reform program but a program designed to defeat reform. #page#Meanwhile, the Saudi crackdown on Shia protesters in Bahrain has surely angered the Saudis’ own Shia in the oil-rich Eastern Province. They live in a country owned by a Sunni dynasty that hates and fears them. The instability in Bahrain is rightly viewed by the Saudi royals as dangerous, but their actions have made it far worse and far more likely to have repercussions for them at home. What can the United States do? We have little leverage over the oil-rich Saudis, Emiratis, and Qataris, who appear in the last year or two to have lost all faith that Washington has anything of value to tell them. But we do have influence elsewhere, in Jordan and Morocco, and in Egypt and Tunisia, all aid recipients. Our most useful contribution now would be to strengthen reform and reformers by conditioning every cent of aid. Our security-based largesse to Egypt and Jordan during the Iraq War allowed them to avoid reform and meant that reformers had less clout. And the tight military-to-military and intelligence relationships also reduced pressure for reform — not only in the region but in Washington as well. “All that money you threw at us killed reform,” a Jordanian official told me, “and our security guys told the king he didn’t need to do anything.” The key now is to apply to all our assistance the approach that some of it gets though the Millennium Challenge Corporation, where aid is tied tightly to reform, benchmarks are strict, and assistance is reduced or ended for non-performance. #ad#Which monarchies will bend and not break, getting and staying ahead of the curve? Which will fall back when reform produces opposition, to be swept away by the region’s new revolution of rising expectations? It is impossible to be certain, because in each case one man’s vision and courage will determine the answer. Reformist kings can save their dynasties now by helping their countries move smoothly into democracy, or they will end their years in exile like the Russian aristocrats of a century earlier. — Elliott Abrams, a senior fellow at the Council on Foreign Relations, was the deputy national security adviser handling the Middle East in the George W. Bush administration. 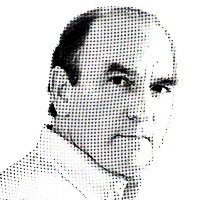 Elliott Abrams is a senior fellow in Middle Eastern Studies at the Council on Foreign Relations and a former deputy national-security adviser.